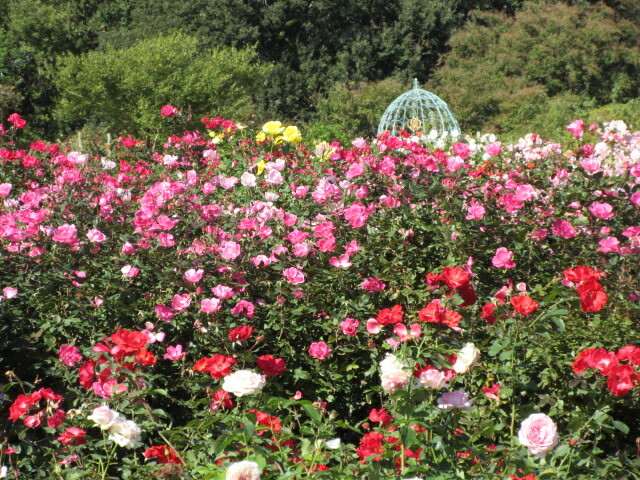 Keisei Rose Garden of Chiba prefecture is the largest rose garden in Kanto Region, Japan. 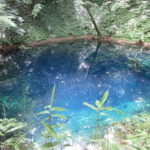 Access from metropolitan area is also good, making it a very popular tourist attraction. 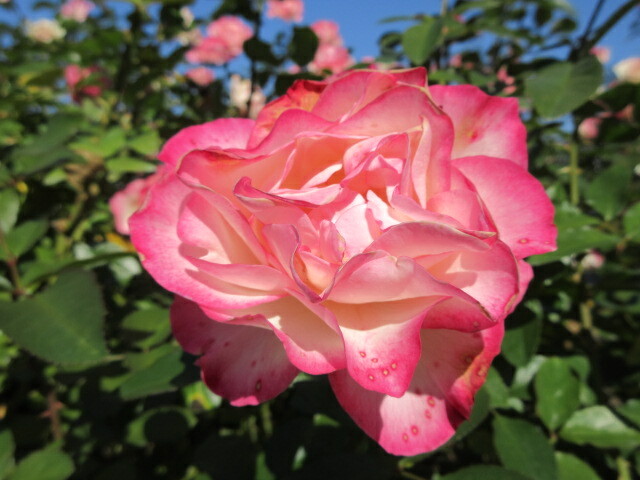 This time, I watched autumn roses at Autumn Fair being held at Keisei Rose Garden. 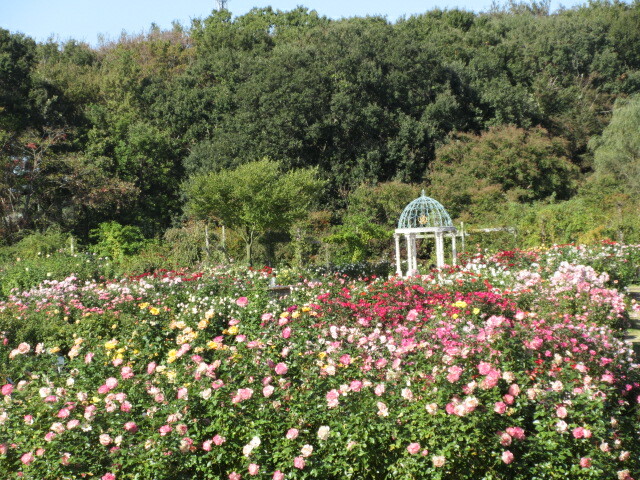 Keisei Rose Garden is the rose garden in Yachiyo city in Chiba prefecture. 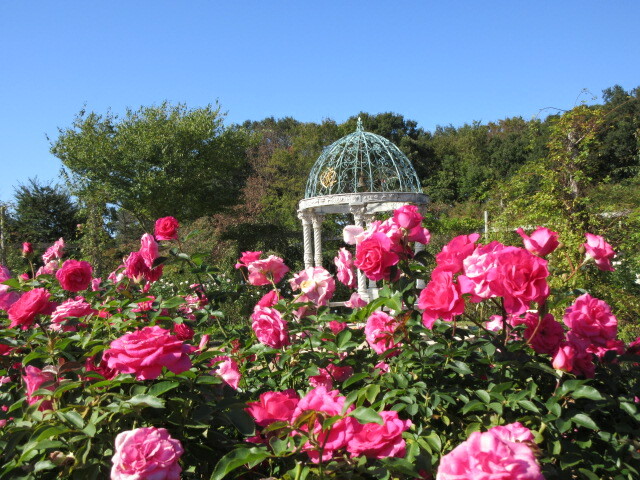 Known as one of the most famous rose garden in the Kanto region, countless colorful roses are blooming in the spring and autumn seasons. 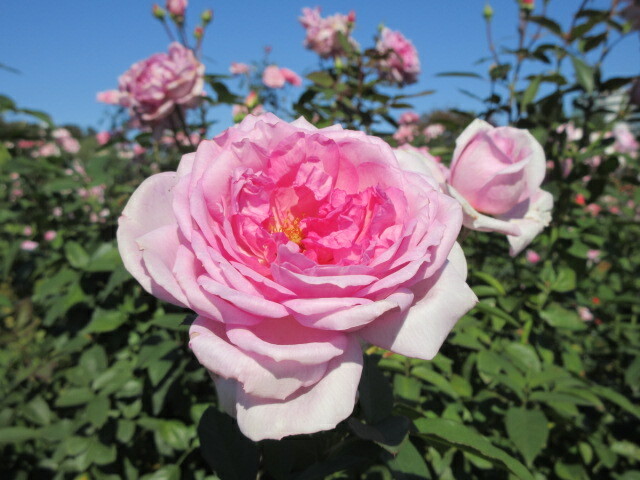 At Keisei Rose Garden, the event “Autumn Fair” will be held from 8th October to 6th November 2016, according to the time of the autumn rose. 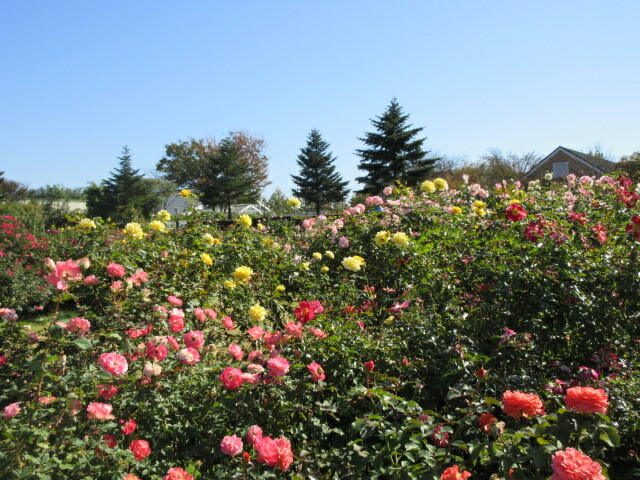 About 1,000 kinds of autumn roses bloom in the garden, talk shows and performances of music by actors, etc. are done in the garden. 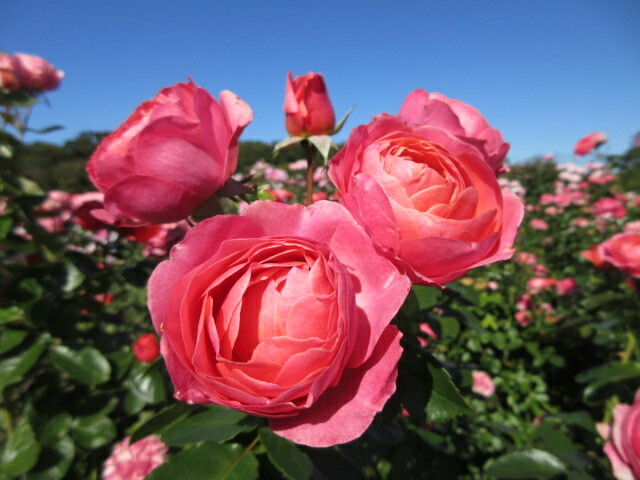 Also, the “Autumn Rose General Election” will be held where people visiting the Keisei Rose Garden vote among 24 varieties of roses, prizes will be awarded to the voters by lottery. There is no holiday in October and November, and the opening hours are 9:00 am – 5:00 pm (final reception time is 4:30 pm). Entrance fee is 1000 yen for adults or 700 yen for seniors over 65 years. 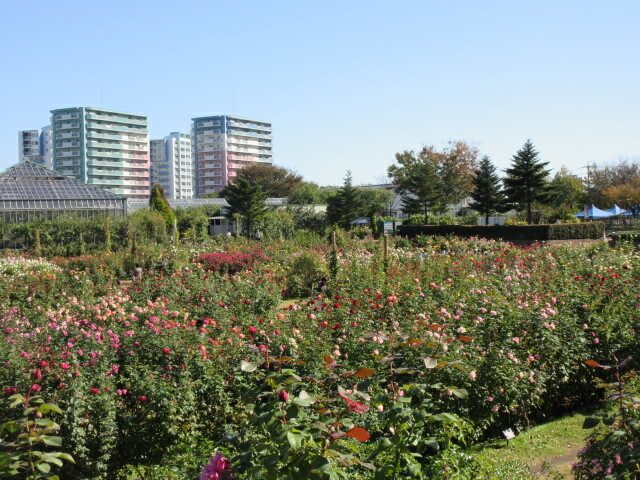 It is about 15 minutes on foot from Toyo High-speed Railway “Yachiyo Midorigaoka” station. Basically, if you go straight ahead on the road, you will arrive. In the case of going by private car, there is a free parking lot where 700 units can be parked. There is no free shuttle bus in the autumn. 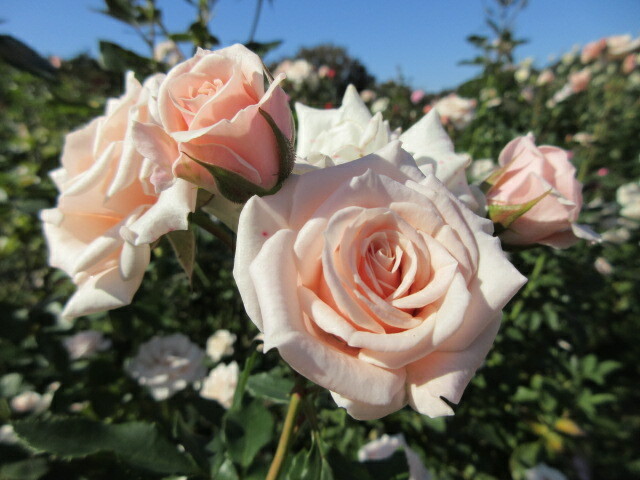 I went to Keisei Rose Garden on the weekday of November 4. 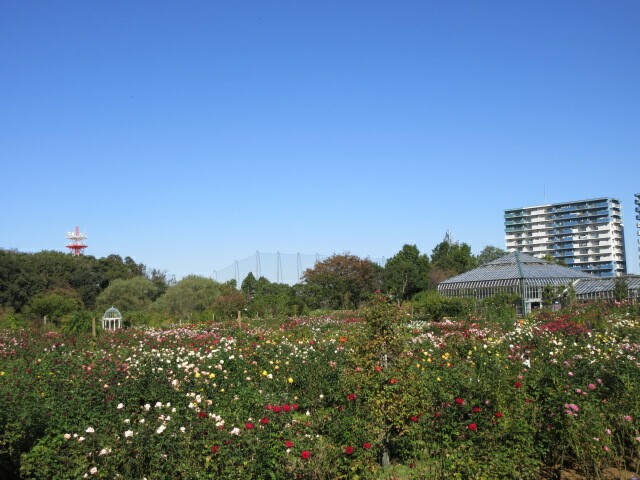 I walked from Yachiyo Midorigaoka station for about 15 minutes and arrived at Keisei Rose Garden. 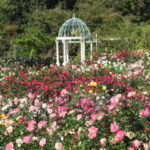 Since the middle of October to the beginning of November is the best time to see the autumn roses of Keisei Rose Garden, I was worried that the time to visit was a bit late, but I was relieved that the current flowering situation is written as the best time at the entrance . First of all, I will introduce the whole picture in the garden. The roofed building that looks to the right is the “big greenhouse”, where exhibitions and concerts are held. There are some chairs and you can use it as a resting place. 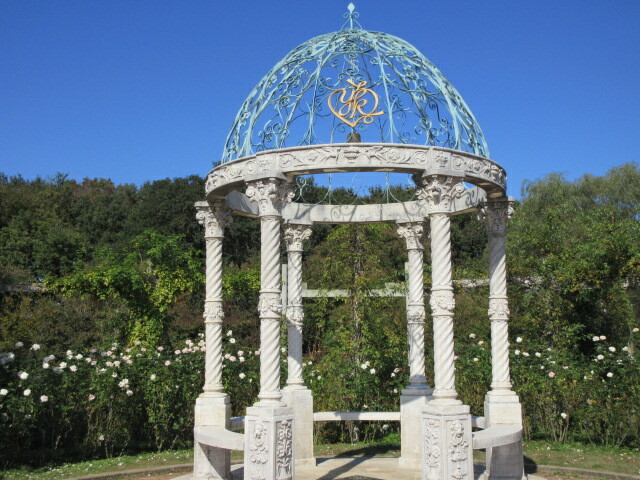 And, “Yumi’s gazebo” is small on the left side. 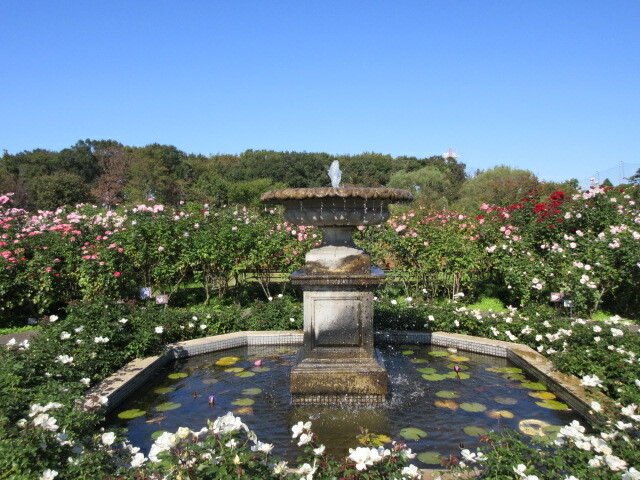 Although it is not shown in the photograph, there is a British style garden on the back side of the gazebo, water lilies etc are blooming in the pond. As you go from the entrance, there is a small square. Guided tours were held here when I went and more than 10 people were listening to the explanation of roses. Go through the plaza to the vicinity of the center of the garden and there is a fountain called “Fountain of Eden”. Surrounded by a rose in full bloom, water dripping elegantly is wonderful. There is a bench nearby, so you can take a break. Going to the far side of the fountain you will see “Yumi’s Gazebo (Love’s Gazebo)”. 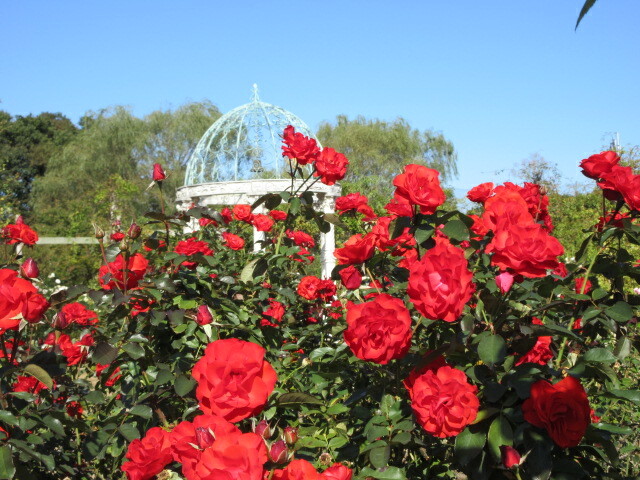 Sometimes a garden wedding is performed while being surrounded by roses in front of a gazebo with the symbol as a lover ‘s holy place. By all means, please take a picture with the gazebo as a background. 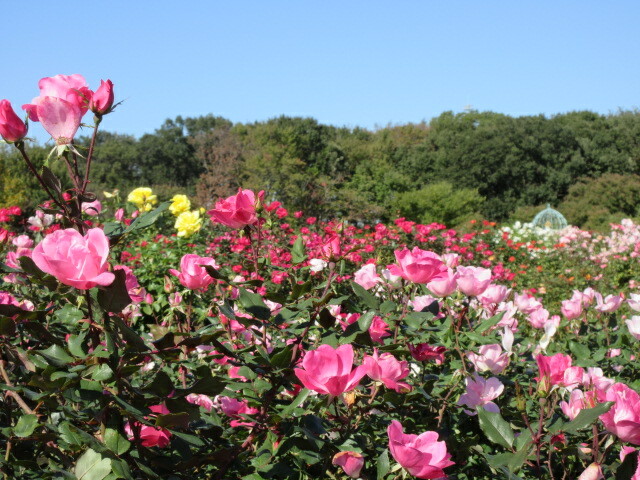 The hill called “Alive stage” has become a magnificent spot where you can look down Keisei Rose Garden from above. 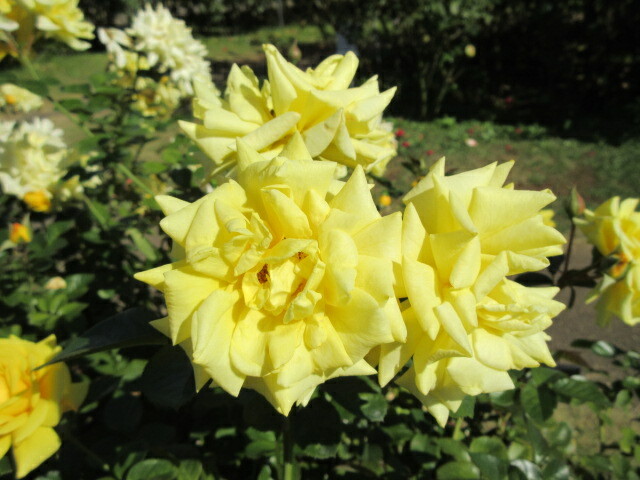 The flowering situation of the rose was the best time to see it as written at the entrance. 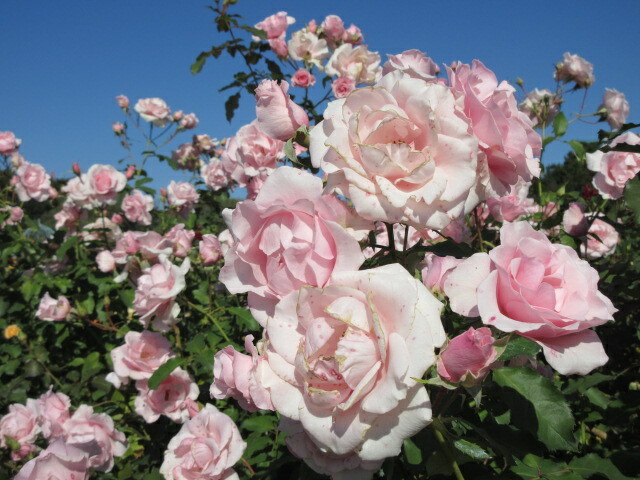 There is a overwhelming presence in the roses of the large petaled in many layers. 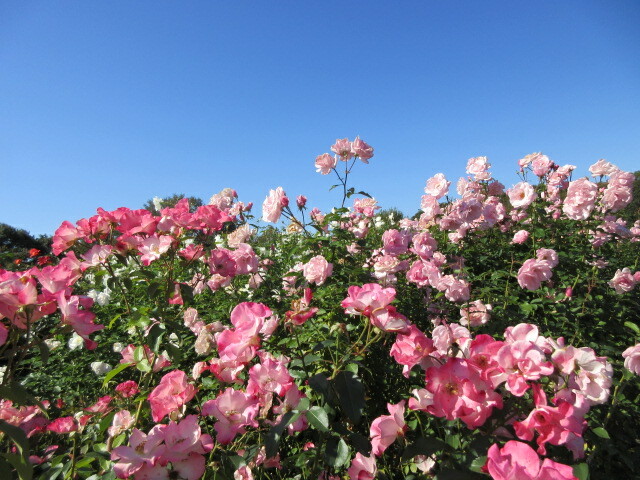 About 10 thousand roses were blooming in the spring, so compared to it, I feel that autumn is somewhat unsatisfactory. 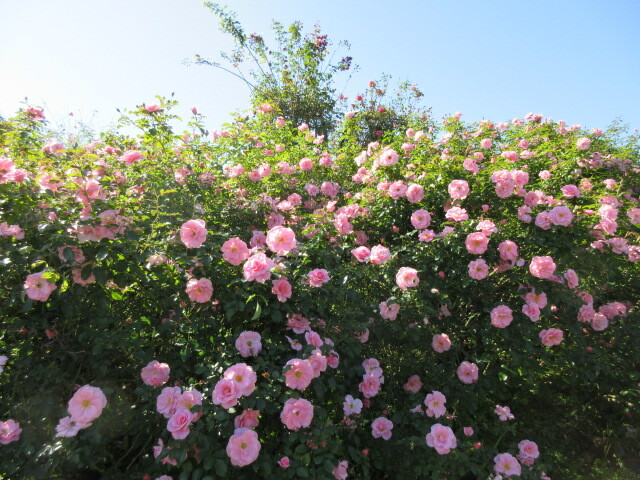 There were also roses arches and trees that were impressed when I came in spring. 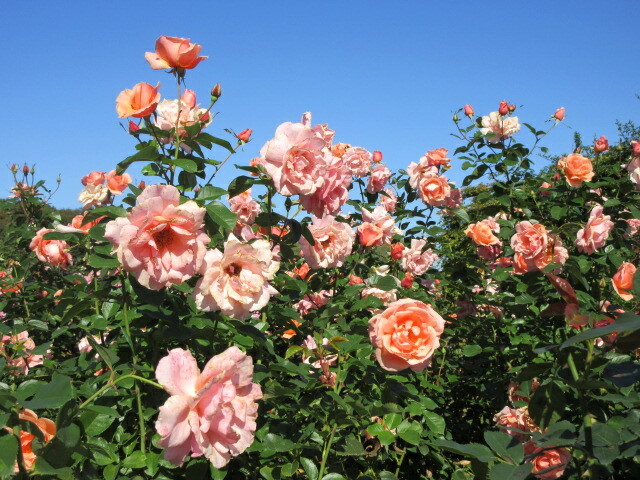 However, there are numerous roses blooming enough to say that even considering it, there is no doubt that it is the largest rose garden in Kanto Region. Everything that I can see is beautiful, I left it to momentum and photographed hundreds of photos of roses, so I will post some of them. 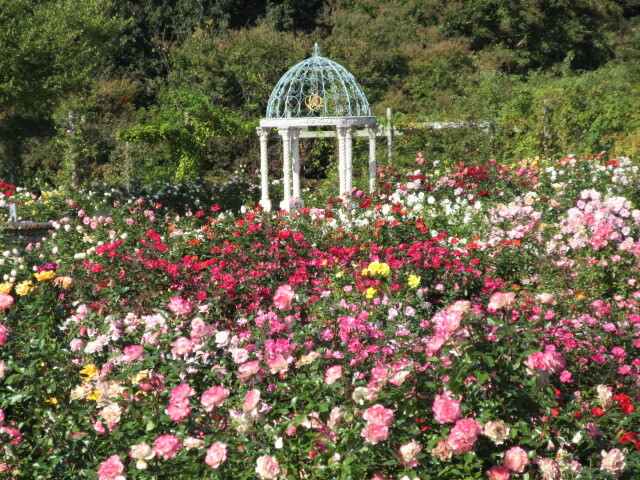 From here, we will introduce the pictures taken together with the gazebo and autumn roses. 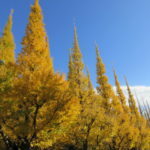 As there is not so wide in the garden, I think that about 1 hour to 2 hours is reasonable even if you walk slowly. 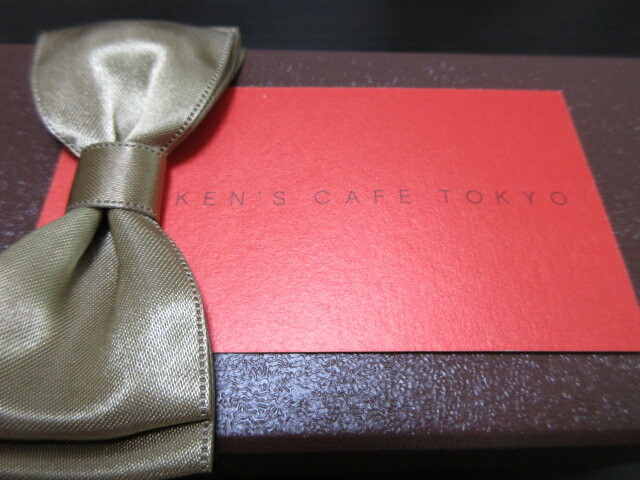 In addition to this, when you eat at a cafe or participate in an event such as a concert, additional time is required. I visited on weekdays around 11 am, and it was very empty. It seemed like a lie that crowded when it was a spring rose. 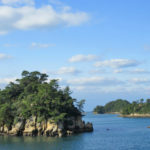 However, as people came late afternoon, people started to increase, so I recommend that you should go in the morning if you want to avoid congestion. 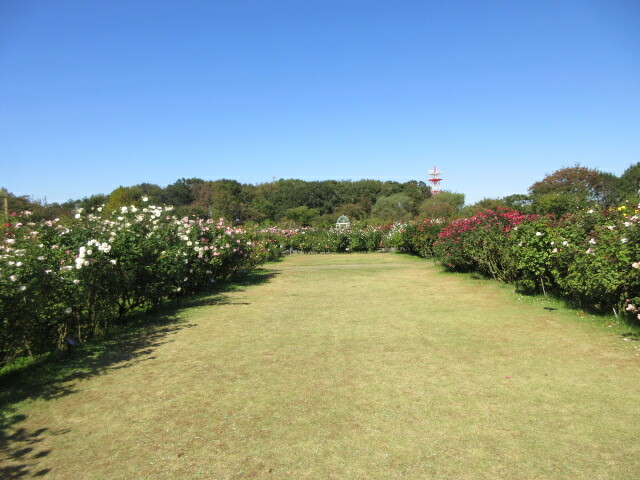 This time, I went to the Keisei Rose Garden in Chiba prefecture to see the autumn roses. I was moved when I came in May, so I was looking forward to revisiting in the fall. The beauty that did not disappoint us was alive. Since it seems that the best time will pass little by little, please go early.